Editor’s note: Jon Berall was appointed as one of two ombudsmen at LICH to oversee SUNY Downstate’s compliance with the Kings County Supreme Court orders issued by Justice Johnny Lee Baynes. 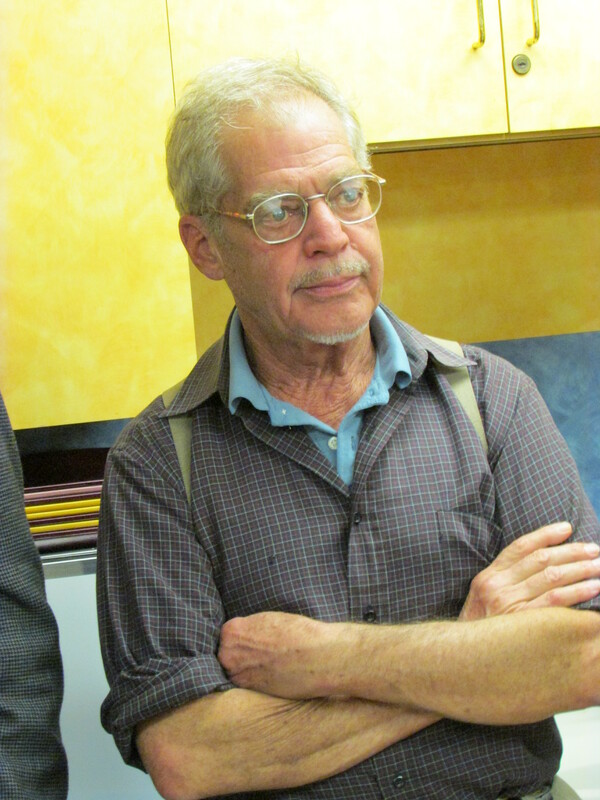 Dr. Berall listening to all the politicians at a recent Cobble Hill Association meeting about LICH. Eleven months ago, SUNY Downstate announced that Long Island College Hospital (LICH) would be shut because it was not medically needed and losing vast sums of money. These lies have been perpetuated by Downstate. The destruction of LICH by SUNY Downstate for nearly a year has been continual and unabated. On August 16, 2013, Kings County Supreme Court Justice Johnny Lee Baynes ordered that LICH be returned to its much stronger position as of July 19. This order has been disregarded; the destruction of LICH has continued as if Judge Baynes had not given any order to the contrary. The destruction still continues, despite the most recent orders from Judge Baynes three weeks ago that: 1) Delayed the contempt charges against SUNY brought by the Community Groups for one month; and 2) Restated SUNY Downstate’s requirement to return LICH to its previously position as a full service, acute care hospital. In the three months since my appointment, there has been no indication that SUNY is doing anything except destroying LICH. On Wednesday, December 4, a short school bus collided with a BMW, injuring four adults. LICH was mere steps away. But because Downstate has closed the hospital’s trauma center, all four were taken to Kings County Hospital in Central Brooklyn. Kings County Hospital is located at 451 Clarkson Avenue – across the street from Downstate’s main campus. The commute is 4.66 miles away from LICH, and 13 minutes – or 23 minutes in rush hour traffic down Flatbush Avenue. All injuries were minor. But in life threatening situations, minutes matter most. Governor Andrew Cuomo has been calling the shots and demanding that SUNY Downstate complete the destruction of LICH. He appointed and has been silently supportive of the leaders responsible within the entire Downstate system. His appointees answer to him. Governor Cuomo is responsible for those decisions, like a parent supervising a child. He could have stopped the destruction of LICH by Downstate Medical Center before it was started because it was started by his order many months ago, yet he has remained almost entirely mute. SUNY’s Request For Proposals (RFP) stated that the closing of LICH would negatively impact more than 450,000 Brooklynites immediately. This also includes the regions serviced by Brooklyn, Methodist, Lutheran and Maimonides Hospitals – all of whom have seen their Emergency Rooms (ER) overflowed and often overwhelmed since the LICH ER has been reduced to little more than an urgent care center. Red Hook, a federally designated health care shortage area, is included – even with LICH operating as a full service hospital. To cut those services any further, is exasperating the problem even more. Yet, Governor Cuomo continues his drastic measures to ensure the Red Hook community becomes even more underserved. A civil rights violation case may be in order for Governor Cuomo. Red Hook is home to the largest public housing site in Brooklyn – the second largest in the entire city. The community is also predominantly made up of minorities. Health services in the neighborhood are already scarce. Closing LICH is denying poorer minority citizens the right to basic health care services – an impeachable offense. Governor Cuomo has arrogantly ignored the judge’s orders multiple times. Judge Baynes has been unable to make any difference in SUNY and Governor Cuomo’s steamroller efforts to effectively kill LICH. Governor Cuomo has disregarded the real medical needs of the people of Brooklyn, especially the medical needs of Red Hook. His decisions are being made with reckless abandon for the neighborhood in an effort to boost local real estate development. He is turning a blind eye to the basic human rights of nearly half a million people’s entitlement to sufficient health care services. Governor Cuomo was elected by the people to follow the law, not to flaunt his executive power and ignore the justice process. The executive branch of New York State is essentially spitting in the face of its judiciary branch by disrespecting the Kings County Supreme Court’s authority. Governor Cuomo is calling the shots on what has become a criminal situation on many levels. Now is the time for Governor Cuomo to have the light shined in his face for his despicable actions: replacing a full-service, acute care hospital with an urgent care center and condominiums for the super-rich to benefit his buddies in the real estate industry. Governor Cuomo has high hopes for the Oval Office. By throwing the health needs of Brooklynites under the bus, those ambitions may only be pipe dreams. Perhaps if his political career were threatened, he may start thinking a little more rationally. Governor Cuomo needs to be brought out from the darkness and the shadows to face the people of Brooklyn in the light – the light of impeachment proceedings. Perhaps if Governor Cuomo is unable to sort out his priorities as to what is best for the medical needs of his constituents, he should resign. Or perhaps impeachment proceedings will awaken Governor Cuomo to the reality that Brooklynites are not going to allow New York State to be run like a third world Banana Republic dictatorship. This entry was posted in LICH and tagged Dr. Berall, LICh. Bookmark the permalink. Is this a joke? LICH never was a trauma center in all of its existence. Dr. Berall should know that. Stop making stuff up.